We got several very kind cards during the holidays...and some donations received, from as far away as Wales!!! . So deeply appreciated. We also stumbled upon a new nest in the fall while scouting a spot for a new nestpole! 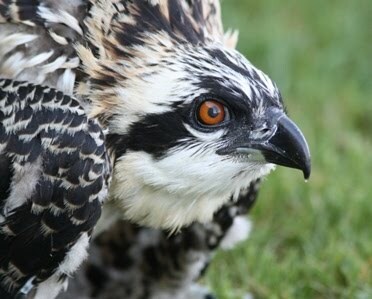 I can now declare that Osprey breeding season is over...our final juvenile was last seen last Sunday. I wrote about that in the last post. After four hours she went winging off to the south and we have not seen her since. I visited again today and all the usual perches were empty. As I sat there waiting to see if she might return to the nest, the police came. Of course, this happens to me every year! Someone reported my activity as suspicious. The police laughed when I told her what I was doing, and how sad it is that bird watching is seen as suspicious! So now, the big letdown from a crazy summer of monitoring all the known nests in eight counties. Still learning so much. I will do some charts and begin pulling some data together now, but the bulk of the analysis and report writing will begin in January. Now I have to focus on making some money! I will still post occasionally when something pops into my head to talk about. Thanks again to all who have helped me watch over all these nests. I love all the conversations about behaviors, the questions, the time in the field together, the shared observations. I love sharing my passion with all the like minded folks I have found, here in the Twin Cities and all over the world. How lucky that the ospreys have brought us together to learn from each other.